March Carnival of Trust is Up! The March Carnival of Trust is up. Hosted this month by Beth Robinson, at her blog Inventing Elephants, Beth brings above all an eclectic perspective to the subject of trust–and it shows in her wide-ranging choice of topics and insightful commentary. The Carnival of Trust, hosted on a rotating basis, chooses the Top Ten trust-relevant posts of the preceding month–and provides trenchant, bite-sized commentaries on the posts themselves. The result is a limited set of highest-quality content. High content, pre-screened and with intelligent value-adding commentary. Click through to the Carnival and see what Beth’s eclecticism brings to the subject of trust. There are strong blog pieces here ranging from social media, to building business trust in China, to an advocate of predictability over trust, to ROI and accountability. 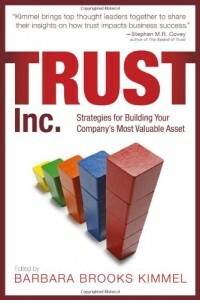 All of which wonderfully demonstrate the breadth of issues touched by trust. Thanks again to Beth for hosting; drop on by for some tasty reading. 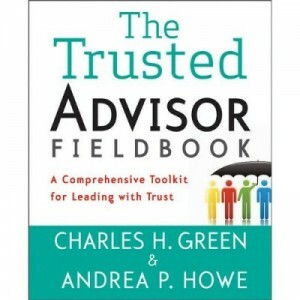 http://trustedadvisor.com/public/trusted_advisor1.png 0 0 Charles H. Green http://trustedadvisor.com/public/trusted_advisor1.png Charles H. Green2009-03-02 18:52:312009-03-02 18:52:31March Carnival of Trust is Up!